A powerful and convenient reaction procedure for the C-N coupling reaction (the Buchwald-Hartwig reaction), yielding products of N-arylanilines and N-arylamines in both conventional heating and microwave irradiation has been reported. The protocol utilizes a stable and new supper ferromagnetic nanoparticle chelating N-heterocyclic dicarbene palladium(II) complex (Pd-NHC) as catalyst which helps/allows us to complete the reaction with only 0.002 mol% Pd producing high yield products. We also examined the reusability of the catalyst. It was found that the catalyst could be recovered by external magnetic field and reused for seven times without obvious loss in catalytic activity. Recently, Undoubtedly, transition metal-catalyzed C-N coupling reactions have been converted to the one of the robust reactions in organic synthesis. In particular, palladium-catalyzed reactions have witnessed tremendous advances in the industrial and have developed up to valuable synthetic utilities such as hydrogenation [1-4], coupling [5-8], cyanation [9,10] and amination  reactions. From the first Pd-catalyzed C-N coupling reported by Buchwald and Hartwig , a large number of effective catalytic systems have developed [13,14], and they have all demonstrated their ability for the generation of arylamines which is widely used in pharmaceuticals, electronic matrials, pigment, biological and liquid crystals [15-26]. Despite the wide application of Pd-catalysts in these reactions, in consequence of toxicity of palladium residuals, the problem of catalyst recovery and contamination by palladium is a matter of concern, especially for the pharmaceutical industry, which acceptable limits of palladium traces in pharmaceuticals were set usually as ppm level [27,28]. Thus, the development of a strong and general method for these transformations involving a robust reusable catalyst would be attractive to address these limitations. Applying solid supports such as microporous polymers , activated carbon , clays  and especially magnetic nanoparticles (MNPs) [32-36] are a suitable method for overcoming of these disadvantages. This method presents many advantages over conventional ones. It can be considered as an environmentally benign reaction/method that the consequence caused by filtration steps are omitted in the reaction. For instance, the catalyst can be recovered with the external magnetic field. 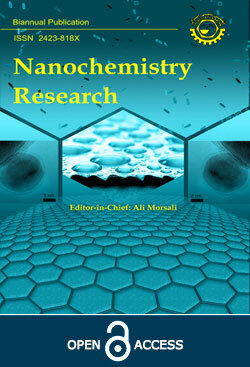 Recently, the applications of these nanoparticles have attracted a great deal of attention [37-46]. These are distinct both from isolated molecules and from the bulk material. It has very good recyclability, a property which is not observed in homogeneous ones [47,48]. To explore the variety of ways for the C-N coupling reactions, our primary focus would be on utilization of N-heterocyclic carbenes (NHCs) that are readily accessible. It is well known that NHCs have emerged as an extremely useful and versatile class of ligands in homogeneous transition metal catalysis due to their strong σ-donor properties, ease of preparation and effective binding ability to any transition metal irrespective of their oxidation states [20-25]. With NHCs complexes, as homogeneous catalysts, numerous investigations have been so far performed, such as C-C, C-O and C-N coupling reactions [26-31]. Very recently, we have observed the previlage catalytic activity of nano Pd-NHC complex utilizing N-methylimidazole bounded to 1,3,5-triazine-tethered SPIONs (superparamagnetic iron oxide nanoparticles) as a bidentate NHC ligand  (Scheme 1). This complex efficiently catalyze the Mizoroki-Heck and Suzuki-Miyaura cross-coupling reactions, leading to 1,2-diarylethylene and aryl benzenes, respectively. These observations prompted us to explore the potential of this catalyst for other related reactions. Now, in continuation of our investigation on the presentation of new nanocatalysts for organic transformations, we would like to report the application of SPIONs-bis(NHC)-Pd(II) to the Buchwald-Hartwig reaction at conventional heating and microwave irradiation conditions (Scheme 2). The SPIONs-bis(NHC)-Pd(II) catalyst was prepared according to our previously reported procedure . Briefly, silica-coated magnetite nanoparticles (SiO2@Fe3O4) were selected as support, and subsequently these MNPs were reacted with 3-aminopropyltriethoxysilane (APTS) to obtain the functionalized MNPs. Next, 2,4,6-trichlo-1,3,5-triazine (TCT) was covalently immobilized onto the surface of the SPIONs by controlling the temperature and then two other chlorides were replaced with two equivalents of N-methylimidazole via formation of C-N bond between imidazole and triazine parts. Finally, SPIONs-bis(NHC)-Pd(II) was prepared by the reaction of Pd(OAc)2 in DMSO with SPIONs-bis(N-methylimidazolium) which was prepared in the previouse step. The synthesized catalyst was characterized by several instrumental methods. Thermogravimetric analysis (TGA) indicated that the total amount of organic moieties on MNPs is about 6%. These results also approved that the catalyst has high thermal stability below 600 °C. The palladium content of SPIONs-bis(NHC)-Pd(II) was found to be 0.27 mmol g-1 of the catalyst as measured by ICP-OES analysis. The morphology of the catalyst surface, studied by field emission scanning electron microscopy (FE-SEM), showed that the SPIONs-bis(NHC)-Pd(II) particles are spherical. revealed that the presence of the palladium was also confirmed by the energy-dispersive X-ray (EDX) results obtained from SEM analysis of SPIONs-bis(NHC)-Pd(II) which showed the presence of C, O, Si, Cl, N and Pd. X-ray photoelectron spectroscopy (XPS) as shown in the Fig. 2, illustrating two peaks at 337.26 (3d5/2) and 342.57 eV (3d3/2), corresponding to Pd with two oxidation states. The peaks at 335.1 (3d5/2) and 340.4 eV (3d3/2) indicated that a small portion of Pd is in zero oxidation state. The peaks corresponding to oxygen, carbon, nitrogen, silicon and palladium are also clearly observed in XPS elemental survey of the catalyst. A transmission electron microscopy (TEM) image of SPIONs-bis(NHC)-Pd(II) revealed the nanometer dimensions of the catalyst. The size distribution histogram demonstrated that the average diameter of the matrix is about 10-11.5 nm (Fig. 2). Finally, the magnetization obtained using a vibrating sample magnetometer (VSM) proved the super paramagnetic behaviour of the catalyst. Fig. 1. The FT-IR of the Catalyst. Fig. 2. The TGA graph of the Catalyst. In the outset, for screening experiments, the modelreaction was performed by using bromobenzene and morpholine as substrates, t-BuONa as base in DMSO, and the mixture was heated at 120 °C for 4 h (Table 1). The template reaction was first carried out in the absence of any catalyst, and no product was formed under this condition (Table 1, entry 1). When the reaction was carried out in the presence of Pd(OAc)2@nano-SiO2 or Pd(OAc)2@nano-Fe3O4 (with 10 mol% Pd) as ligand-free systems, appeared to be less active, and produced only trace amounts of the product after 4 h (Table 1, entries 2 and 3), but surprisingly SPIONs-bis(NHC)-Pd(II) with only 0.002 mol% palladium showed the highest activity, and afforded 3c in 87% yield. As the aforementioned results, we found that the ligand has a key effect on the reaction, which the size and the kind of it could increase the palladium activity in this transformation. The effect of organic or inorganic bases on the model reaction was investigated. As shown in Table 1, Na2CO3, K2CO3, K3PO4 and Cs2CO3 were almost ineffective (Table 1, entries 5-8). Further investigations revealed that the reaction is also affected by other parameters including the amount of catalyst, substrate ratio, solvent and temperature which upon them the optimal reaction conditions should be 0.002 mol% of Pd, Bromobenzene:morpholine is 2:1, at 120 °C, and 4 h (Table 1, entries 9-17). Under the optimized conditions, we probed the scope of the reaction regarding to the kind of aryl halides and amines. As demonstrated by the results in Scheme 2, aryl or heteroaryl halides with different substituents smoothly react with various anilines, aromatic and aliphatic amines, and produce the corresponding products in generally moderate to high yields. In general, presence of bromo or iodo substuents are essential in the aryl ring to afford good yields. Upon this results, when an electron-withdrawing group, such as cyano or halides is introduced into the aryl halide ring, the reaction is promoted faster than that in presence of electron-donating groups. Furthermore, halopyridines were also utilized in this reaction and the desired products were afforded successfully. The scope of this reaction is substantially extended to different amines, including primary ones as well as secondary amines and even imidazole and anilines (Table 2). An alternative examination was also developed in an attempt to further investigate the chemoselectivity of the reaction with carrying out the reaction on 1,4-dibromobenzene, 2,6-dibromopyridine, and 1,3,5-tribromotriazine as the more complicated aryl halides. This reaction was also followed by using of diamines such as 1,2-diaminoethane. Encouraged by these results, this procedure was registered acceptable results in all cases. The reaction conditions are also selective enough not to produce any side and/or polymer products (Table 2). It should be noted that although high yields were obtained in most cases at long reaction times (4-30 h), this system is very promising for following more investigations. Whereas quantitative yield of 3c was obtained under microwave irradiation promptly, this energy source was used as heating system in this transformation. With this achievement we investigated the reaction under microwave irradiation with a temperature controlled program. During irradiation, the temperature was monitored by an IR sensor which controlled MW power levels. At 70 °C only 50% of conversion was registered after 14 min. As expected, by increasing the temperature up to 90 °C, quantitative conversion was registered in 14 min and 90% of the adduct 3c was isolated. With the optimized reaction conditions in hand we examined the Buchwald-Hartwig reaction in the presence of the same amount of SPIONs-bis(NHC)-Pd(II). It was generally observed that high to excellent yields of the products were obtained expediously, and the amine derivatives were obtained exclusively (Table 3). The recovered SPIONs-bis(NHC)-Pd(II) could also be reused without any significant loss of its high catalytic performance. The catalyst was separated from the reaction mixture by an external magnetic field and washed with ethanol. It was easily recyclable after activation at 80 °C under reduced pressure. SPIONs-bis(NHC)-Pd(II) retained its activity after seven consecutive times. In conclusion, we have stablished the first supperferromagnetic nanoparticle chelating N-heterocyclic dicarbene palladium(II) complex (Pd-NHC) as a robust and efficient C-N coupling catalyst. The catalyst is easily synthesized and can catalyze the Buchwald-Hartwig reactions with comparable activity as the traditional catalyst. The catalyst loading is significantly lower in most cases than previously reported C-N coupling reactions. We also have successfully developed a general method for the microwave-assisted C-N coupling reactions, providing moderate to high speed. Catalyst recycling and product separation are easier and simpler with the assistance of an external magnet. The catalyst can be recycled and reused for seven times with little loss of its activity. All chemicals were purchased from Merck chemical company. Fe3O4 nanoparticles and silica-coated magnetite nanoparticles (SiO2@Fe3O4) were synthesized according to the literature . All known organic products were identified by comparison of their physical and spectral data with those of authentic samples. Thin layer chromatography (TLC) was performed on UV-active aluminum-backed plates of silica gel (TLC Silica gel 60 F254). 1H and 13C NMR spectra were measured on a Bruker DPX 400 MHz spectrometer in CDCl3 with chemical shift (δ) given in ppm. Coupling constants are given in Hz. The FT-IR spectra were taken on a Nicolet-Impact 400D spectrophotometer in KBr pellets and reported in cm-1. Melting points were determined using Stuart Scientific SMP2 apparatus and are uncorrected. In a round bottom flask equipped with mechanical stirrer and condenser, a mixture of SiO2@Fe3O4 (4.03 g) and 3-aminopropyltriethoxysilane (APTS) (5 ml) was refluxed in dry toluene (100 ml) at 100 °C for 24 h. After this time, the magnetite nanoparticles were separated from the reaction mixture by an external permanent magnet, washed with ethanol and mili-Q water several times and dried under vacuum at 60 °C. For preparation of supported N-heterocyclic carbene ligand, to a mixture of these magnetic nanoparticles (0.50 g) in dry THF (40 ml) at 0 °C, 1,3,5-trichlorotriazine (TCT) (0.25 g) were added and the mixture was stirred at 0 °C for 2 h.
After consumption of TCT, as indicated by TLC, di-isopropylethyl amine (1 ml) and N-methylimidazole (5 ml) were added to this mixture and refluxed in dry toluene for 1 day. The residue was separated from the mixture by an external permanent magnet, washed with CH2Cl2 and THF for several times and finally dried under vacuum at 60 °C. The final catalyst nanoparticles were obtained as dark-brown solids by addition of Pd(OAc)2 (101 mg, 0.45 mmol) to a dispersed mixture of SPIONs-bis(NHC) (1.01 g) in DMSO (5 ml) under argon atmosphere at room temperature. Next, the mixture was stirred for 4 h at 60 °C and then allowed to proceed for an additional 30 min at 100 °C. The resulting complex was collected by an external permanent magnet and washed with ethanol (3 × 10 ml) to remove the unreacted Pd(OAc)2, and finally dried under air. A round-bottom flask was charged under argon with aryl halid (2 mmol), amine (1 mmol), DMSO (1 ml), t-BuONa (2 mmol) and the catalyst (0.074 g, 0.002 mol% Pd). The reaction mixture was stirred and heated at 120 °C for several hours or exposed to MW irradiation (250 W, 90 °C) (thin layer chromatography monitoring). After completion of the reaction, the reaction mixture was cooled to room temperature; the mixture was diluted with Et2O, filtered and concentrated under reduced pressure. The residue was purified by column chromatography on silica-gel. We have demonstrated the synthesis of a new and powerful nanocatalyst which is employed in the Buchwald-Hartwig reaction, and provides a high yield product. Easy purification, recyclability and very low Pd leaching are main characteristic of the process. We have also successfully developed a general method for the microwave-assisted C-N coupling reactions, providing moderate to high speed, and short reaction times. The authors are grateful to the Center of Excellence of Chemistry of University of Isfahan (CECUI) and also the Research Council of the University of Isfahan for financial support of this work. P. Sangeetha, K. Shanthi, K.S. Rama Rao, B. Viswanathan, P. Selvam, Appl. Catal. A: Gen. 353 (2009) 160. Y. Xing, J. Chen, Z.R. Dong, Y.Y. Li, J.X. Gao, Tetrahedron Lett. 47 (2006) 4501. I. Kirm, F. Medina, X. Rodrıguez, Y. Cesteros, P. Salagre, J.E. Sueiras, J. Mol. Catal. A: Chem. 239 (2005) 215. N. Kim, M.S. Kwon, C.M. Park, J. Park, Tetrahedron Lett. 45 (2004) 7057. M. Aydemir, A. Baysal, G. Ozturk, B. Gumgum, Appl. Organomet. Chem. 23 (2009) 108. O. Akba, F. Durap, M. Aydemir, A. Baysal, B. Gumgum, S. Ozkar, J. Organomet. Chem. 694 (2009) 731. J. Mondal, A. Modak, A. Bhaumik, J. Mol. Catal. A: Chem. 350 (2011) 40. K. Sarkar, M. Nandi, M. Islam, M. Mubark, A. Bhaumik, Appl. Catal. A: Gen. 352 (2009) 81. J. Ramnauth, N. Bhardwaj, P. Renton, S. Rakhit, S. Maddaford, Synlett 14 (2003) 2237. M. Sundermeier, A. Zapf, M. Beller, J. Sans, Tetrahedron Lett. 42 (2001) 6707. S.M. Islam, N. Salam, P. Mondal, A.S. Roy, J. Mol. Catal. A: Chem. 366 (2013) 321. F. Paul, J. Patt, J.F. Hartwig, J. Am. Chem. Soc. 116 (1994) 5969.
 a) S.V. Ley, A.W. Thomas, Angew. Chem., Int. Ed. 42 (2003) 5400; b) F. Bellina, R. Rossi, Adv. Synth. Catal. 352 (2010) 1223.
 a) D. Wang, F. Zhang, D. Kuang, J. Yu, J. Li, Green Chem. 14 (2012) 1268; b) P.E. Maligres, S.W. Krska, P.G. Dormer, J. Org. Chem. 77 (2012) 7646. J.P. Corbet, G.Mignani, Chem. Rev. 106 (2006) 2651. S.V. Ley, A.W. Thomas, Angew. Chem., Int. Ed. 42 (2003) 5400. P.Y.S. Lam, G. Vincent, C.G. Clark, S. Deudon, P.K. Jadhav, Tetrahedron Lett. 42 (2001) 3415. B. Schlummer, U. Scholz, Adv. Synth. Catal. 346 (2004) 1599. A.R. Muci, S.L. Buchwald, Top. Curr. Chem. 219 (2002) 131. C. Torborg, M. Beller, Adv. Synth. Catal. 351 (2009) 3027. S.L. Buchwald, C. Mauger, G. Mignani, U. Scholz, Adv. Synth. Catal. 348 (2006) 23. C.M. So, Z. Zhou, C.P. Lau, F.Y. Kwong, Angew. Chem., Int. Ed. 47 (2008) 6402. J. Louie, J.F. Hartwig, Tetrahedron Lett. 36 (1995) 3609. J.F. Hartwig, Angew. Chem., Int. Ed. 37 (1998) 2046. P. Gunda, L.M. Russon, M.K. Lakshman, Angew. Chem., Int. Ed. 43 (2004) 6372. B. Yang, S.L. Buchwald, J. Organomet. Chem. 576 (1999) 125. S. Paul, J.H. Clark, Green Chem. 5 (2003) 635. L. Yin, J. Liebscher, Chem. Rev. 107 (2007) 133. H. Lim, M.C. Cha, J.Y. Chang, Polym. Chem. 3 (2012) 868. M. Seki, Synthesis (2006) 2975. R.S. Varma, K.P. Naicker, P.J. Liesen, Tetrahedron Lett. 40 (1999) 2075. V. Polshettiwar, R. Luque, A. Fihri, H. Zhu, M. Bouhrara, J.M. Basset, Chem. Rev. 111 (2011) 3036. M. Zhu, G. Diao, J. Phys. Chem. C 115 (2011) 24743. Z. Gao, Y. Feng, F. Cui, Z. Hua, J. Zhou, Y. Zhu, J. Shi, J. Mol. Catal. A: Chem. 336 (2011) 51. K.K. Senapati, S. Roy, C. Borgohain, P. Phukan, J. Mol. Catal. A: Chem. 352 (2012) 128. P. Li, L. Wang, L. Zhang, G.W. Wang, Adv. Synth. Catal. 354 (2012) 1307. M. Azhar Uddin, H. Tsuda, S. Wu, E. Sasaoka, Fuel 87 (2008) 4. X.J. Cui, M. Antonietti, S.H. Yu, Small 2 (2006) 756. T.J. Daou, G. Pourroy, S. Begin-Colin, J.M. Greneche, C. Ulhaq-Bouillet, P. Legare, P. Bernhardt, C. Leuvrey, G. Rogez, Chem. Mater. 18 (2006) 4399. F. dos Santos Coelho, J.D. Ardisson, F.C.C. Moura, R.M. Lago, E. Murad, J.D. Fabris, Chemosphere 71 (2008) 90. S.Y. Lian, E. Wang, Z.H. Kang, Y.P. Bai, L. Gao, M. Jiang, C.W. Hu, L. Xu, Solid State Commun. 129 (2004) 485. S. Takami, T. Sato, T. Mousavand, S. Ohara, M. Umetsu, T. Adschiri, Mater. Lett. 61 (2007) 4769. P. Tartaj, M.D. Morales, S. Veintemillas-Verdaguer, T. Gonzalez-Carreno, C.J. Serna, J. Phys. D: Appl. Phys. 36 (2003) R182. S.B. Wang, Y.L. Min, S.H. Yu, J. Phys. Chem. C 111 (2007) 3551. C. Xu, A.S. Teja, J. Supercritical Fluids 39 (2006) 135. M. Hermanek, R. Zboril, N. Medrik, J. Pechousek, C. Gregor, J. Am. Chem. Soc. 129 (2007) 10929. P.D. Stevens, G. Li, J. Fan, M. Yen, Y. Gao, Chem. Commun. (2005) 4435. S. Ko, J. Jang, Angew. Chem. 118 (2006) 7726. M. Ghotbinejad, A.R. Khosropour, I. Mohammadpoor-Baltork, M. Moghadam, S. Tangestaninejad, V. Mirkhani, J. Mol. Catal. A: Chem. 385 (2014) 78. A. Schatz, M. Hager, O. Reiser, Adv. Funct. Mater. 19 (2009) 2109.